I'm a children's author (world's best job), living in Far North Queensland (world's best place). Life is good! Jump in and discover a bit about me, my books, and the stories behind the books. I've Lost My Kisses now has an Auslan translation! We had a lot of fun making it, and there's even a special appearance by Matilda Rose. 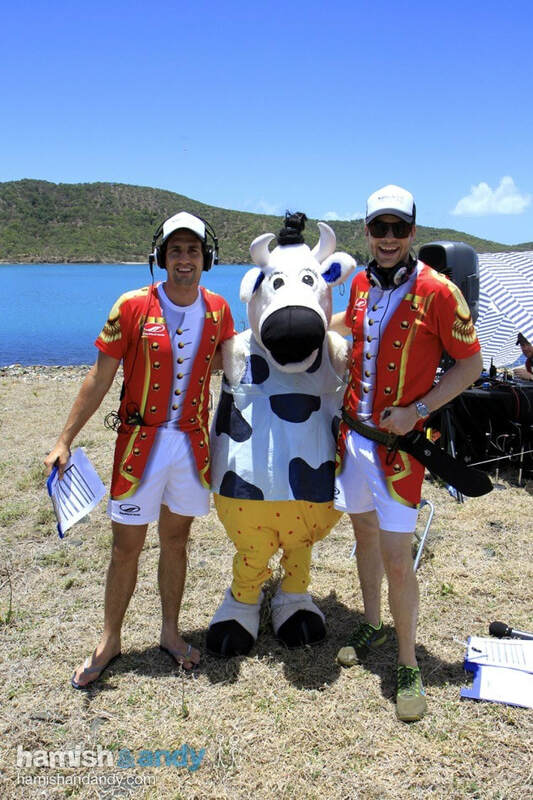 Matilda Rose also spent some time on an island with these two funny dudes... she said it was udderly delightful! With Far North Qld's favourite podcasters, Waz and Ice from Cairns Multisport Crew. We discussed writing, books and triathlons and laughed a bit. Search for their podcast on any podcast app, and it will most likely be there. 99% sure of it. Are ALL podcasters tall? I'm starting to feel like a shorty!